NAKED, a. Open, discovered, to strip. 1. Not covered; bare; having no clothes on; as a naked body or a naked limb. 2. Unarmed; defenseless; open; exposed; having no means of defense or protection against an enemys attack, or against other injury. 3. Open to view; not concealed; manifest. Hebrews 4. 4. Destitute of worldly goods. Job 1. 5. Exposed to shame and disgrace. Exodus 32. 6. Guilty and exposed to divine wrath. Revelations 3. 7. Plain; evident; undisguised; as the naked truth. 8. Mere; bare; simple; wanting the necessary additions. God requires of man something besides the naked belief of his being and his word. 9. Not inclosed in a pod or case; as naked seeds of a plant. 10. Without leaves, fulcres or arms; as a naked stem or trunk. 11. Not assisted by glasses; as the naked eye. 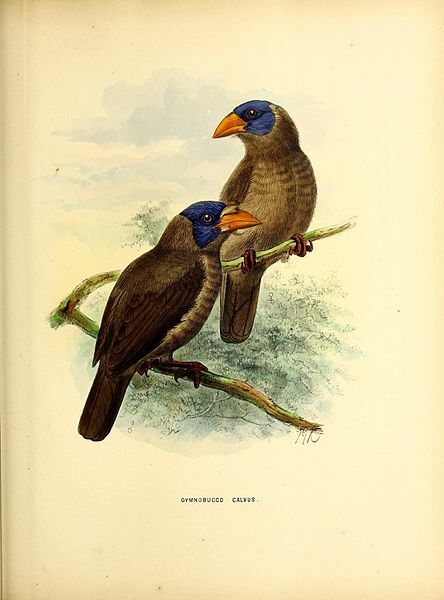 The Naked-faced Barbet (Gymnobucco calvus) is a bird species in the family Lybiidae (the African barbets). 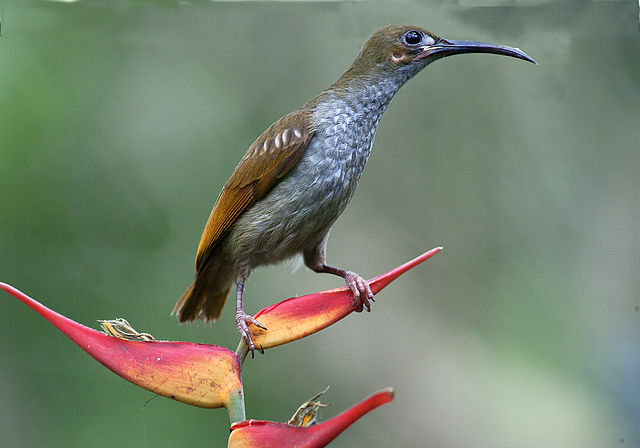 It used to be placed in the family Bucconidae (puffbirds), which has been split up; alternatively, it may be included in a vastly expanded Ramphastidae (toucans). It is found in Angola, Benin, Cameroon, Republic of the Congo, Democratic Republic of the Congo, Ivory Coast, Equatorial Guinea, Gabon, Ghana, Guinea, Liberia, Nigeria, Sierra Leone, and Togo.